Scott Reeder M.D., Ph.D. is a Professor (tenure), Vice Chair of Research, and Chief of MRI, as well as the former Director of the UW Clinical MRI Fellowship. He is also Associate Director of the Medical Scientist Training Program (M.D./Ph.D.) in the School of Medicine and Public Health. He joined UW-Madison in 2005 from Stanford University where he completed his radiology residency, and a fellowship in abdominal and cardiovascular imaging. Previously, he completed medical school at Johns Hopkins in Baltimore, where he also received his Masters and Ph.D. in Biomedical Engineering. He is originally from Canada, where he received his BScE in Engineering Physics at Queen's University in Kingston, Ontario. 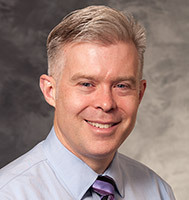 In addition to his clinical and administrative duties, Dr. Reeder is also the Director of the UW Liver Imaging Research Program, an active NIH-funded group that performs research in technical development and translation of new imaging methods, particularly quantitative imaging biomarkers, to assess liver disease. Specific areas of research interests include development of new MRI methods for quantification of abdominal adiposity, liver fat, liver iron overload and other features of diffuse liver disease, quantification of perfusion in liver tumors, hemodynamics of portal hypertension and the use of new contrast agents in liver and biliary diseases.